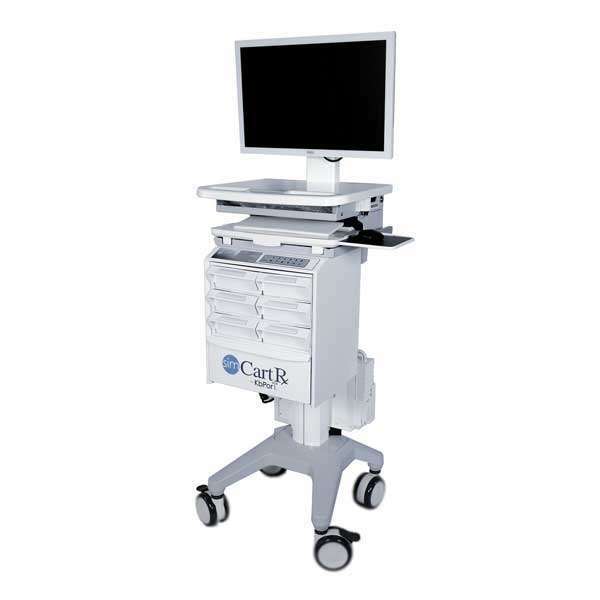 At Scott-Clark Medical (scott-clarkmedical.com) we are committed to ensuring that your medical laptop carts are functional and safe for patient needs. One of the areas of concern in the provision of a medical cart for laptop use is having Germicide Resistant Computers. What does this mean? What Are Germicide Resistant Computers? Hewlett Packard (HP has recently released its new lineup of laptops, display monitors, and desktop machines. This hardware is guaranteed to be resistant to the intense cleaning materials used in hospitals, clinics, and offices of healthcare providers. What Do We know about Germicides and Healthcare? Within a hospital or healthcare facility, the presence of germs is very clear. Healthcare-associated infections number 1.7 million annually. This data demonstrates a need for devices which can withstand repeated sanitization. This all-in-one system includes a 27” HP Healthcare Edition Clinical Review Display. It also contains an EliteBook 840 Healthcare Edition notebook. Placed in nurse’s stations, patients’ rooms, and even public areas of a medical facility, this system can be cleaned with existing sanitizing cleaners. The system meets the requirements of both safety and performance with its Windows 10 Pro and 7th Gen Intel® Core™ processors. The system enhances communication among healthcare professionals. It is easy to view information on this larger, clearer monitor. The system boasts HP Audio Boost and HP Noise Cancellation. This means dictation supported by FHD webcams makes real-time consultations easy and instantaneous. You can separate the laptop keyboard from the touchscreen. This ensures that while you are cleaning, nothing gets accidentally inputted. Screen, keyboard, and laptop are all tough. They can withstand potential deterioration from germicidal wipes and harsh cleanser used to curb the spread of infections. This system has other safety features. The touchscreen touchpad will recognize touch surgically gloved touch. Healthcare professionals can sign in simply by tapping their work badges on the touchpad. There’s also a fingerprint reader. This is the first clinical review display that integrates an RFID reader with single-sign-on authentication. The 27-inch diagonal, 3.7-megapixel clinical review display boasts excellent quality display. The 27” screen size makes it easier to see images clearly. The display has been optimized for image-enabled EMR. With these displays, medical professionals have a solid basis for accurate viewing of clinical images and patient information so that confident, well-informed diagnoses and treatment programs can be made. A privacy screen makes it impossible for anyone nearby to read the screen. 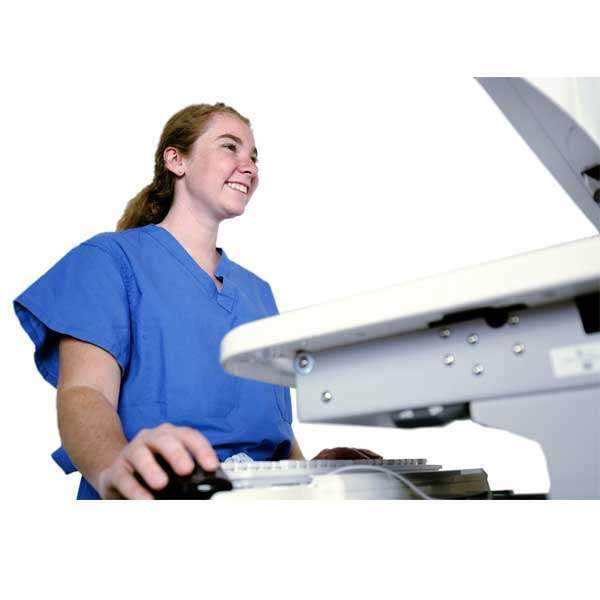 Luminance uniformity is guaranteed with an automatic backlight, auto image rotation, and the ability of the healthcare professional to calibrate medical images. In the era of teleconferencing and tele-patient diagnosis, having a monitor that provides an almost-like-being-there clarity for patient tele-examination and conferencing is priceless. This is the first notebook built specifically for healthcare professionals and facilities. It has been specially engineered for sanitization with aggressive chemical materials used by health care. There are also security measures to ensure that the HP EliteBook. The system contains a security controller that make it harder for hackers. The new system allows for sanitization of the screen and keyboard using germicidal wipes with the change of shift each day the laptop or screen or keyboard is used. The EliteBook comes equipped with “Easy Clean” software. This allows for keyboard, touchscreen, and keypad to be disabled from one another to make it easier to clean with germicidal wipes. This can be done while the laptop is still running. HP claims its new laptop can withstand 10,000 wipes with germicidal Towelettes in a three-year span.